One of the first things people notice when they’re new to Twitter is that the pound symbol is everywhere. That symbol means something different in the Twitter universe. It’s called a hashtag, and words that follow it without spaces form a clickable link that directs you to a different timeline, filled with Tweets of other users that used that same hashtag. Use hashtags that relate to your business. For example, if you’re tweeting about SEO or social media practices, use hashtags like #SEO, #SMO, or #socialmedia. 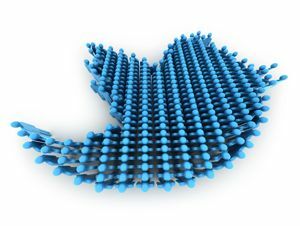 This gets you involved in the Twitter conversation about these topics, and makes it easier for you to see what other people in your field are talking about within those topics. Other hashtags that small business owners should consider are #SMB, #sales, #marketing, and #networking. Keep your hashtags simple and your message consistent. Just like your Tweets themselves, your hashtags should stay concise. It’s better to use a couple small hashtags than one large one. So, for example, if we were to Tweet a link to this blog topic, we’d use #marketing and #twitter rather than #MarketingwithTwitterHashtags. The two smaller hash tags might be simpler, but they also reach a wider variety of people. Create hashtags that people will associate with your business. These hashtags could be a company slogan, or a part of a larger marketing campaign. You might expect, for example, that a Tweet with a hashtag like #justdoit would be a Tweet related to Nike or Nike products. These hashtags you create can be used to advertise a promotion, a product, an event or anything else related with your company. Advertise this hashtag in your other marketing channels to encourage people to use it in their own Tweets. Ever heard of Follow Friday? Every Friday, a lot of people on Twitter recommend other accounts to follow with the hashtag #FF, which stands for “Follow Friday.” If you wanted people to follow Katy Perry, you would tweet #FF @katyperry, and maybe add a reason why you want people to follow them. If you use Follow Friday to advertise other people in your industry or even some of your customers, chances are they’ll return the favor. As you gain more followers on Twitter, more people will seek you out to give them a #FF shoutout, which means they’ll give you a #FF of their own. Obviously there’s a lot more you can do with hashtags, and our advertising experts at Engelbrecht Advertising want to help you. Contact us today to get our help in your social media marketing endeavors!